Getting started in the music business doesn’t need to be that hard. Your guide to making a living in music in the digital age. Generate more opportunities and revenue sources for yourself. Learn how to think like an entrepreneur and take ownership of your career or business. Learn about the four key factors that form the foundation of success in music. Learn the key steps you can take to grow yourself and therefore grow your career. Learn how you can apply your creative skills to building your career or business. Someone that starts their own company in the music industry. A musician or artist that is business-minded and uses their skills to further their careers. Very simply, it is an emerging movement towards career independence and ownership. What you own, you control. An entrepreneur doesn’t wait around for the phone to ring. They create their own opportunities. Really smart and powerful book. Really excellent book. Concise and to the point, and most importantly it focuses on what really matters: not the nitty-gritty tactical stuff that changes practically every week – but the crucial mindset and strategic thought work that’s required to succeed as an entrepreneur. David knows the ins and outs of the modern musician. He’s passionate about it and has experience and he’s used it all to provide a great guide for today’s musicians. This guide is a wonderful resource for any musician with questions about the music business. From getting into the right mindset to specific revenue tactics. Being successful on the business side doesn’t have to take away from your creative side. Each can satisfy the other and this book helps show you how. What you’ll learn in this concise 65-page guide. 1. What Is A Music Entrepreneur? An explanation of what a music entrepreneur is. 2. Can Anyone Be A Music Entrepreneur? In this section, you’ll find out if music entrepreneurship is right for you. 3. What Are The Benefits Of Being/Becoming A Music Entrepreneur? How being a music entrepreneur is different from being an artist, and what you can expect in return. Discover exactly how an entrepreneur thinks and approaches their business. Find out what’s possible for you if you decide to go down this path. 6. Business: Far Removed From Creativity? Business and creativity don’t need to be two separate things. Discover how you can leverage your creative skills in business. Entrepreneurship isn’t just for the eccentric or privileged few. It’s fast becoming the only way forward for musicians everywhere. The risk and rewards of starting your own businesses. What lies beyond starting your own business. Important subjects every music entrepreneur should verse themselves in. The best of the blog: several hand-picked articles from The Music Entrepreneur HQ that delve into the concept of music entrepreneurship. Additional tools and resources to enhance your learning and help you grow in your career or business faster. Hey, I’m David Andrew Wiebe. My love of music began at an early age. I was banging on pianos and de-tuning guitars long before I ever learned how to play. In 2011, I also began developing a love of entrepreneurship. It wasn’t long before I recognized an important connection between the music world and business world that many were missing. So, I began building my life around creating resources that help artists and business owners have breakthroughs in their careers. 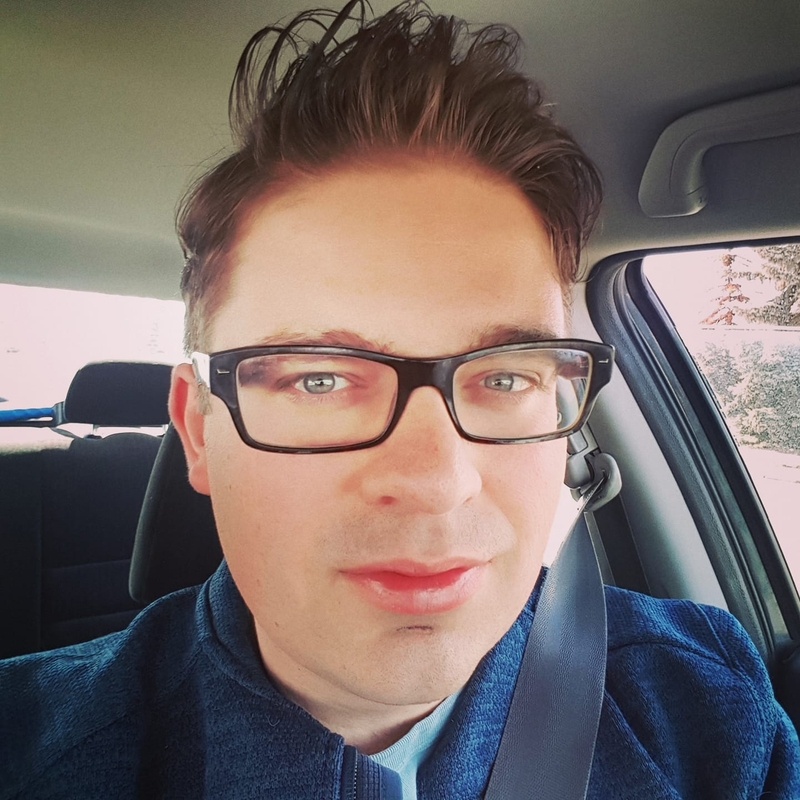 I’m the founder and CEO of The Music Entrepreneur HQ, a resource for musicians and business owners in the music industry. 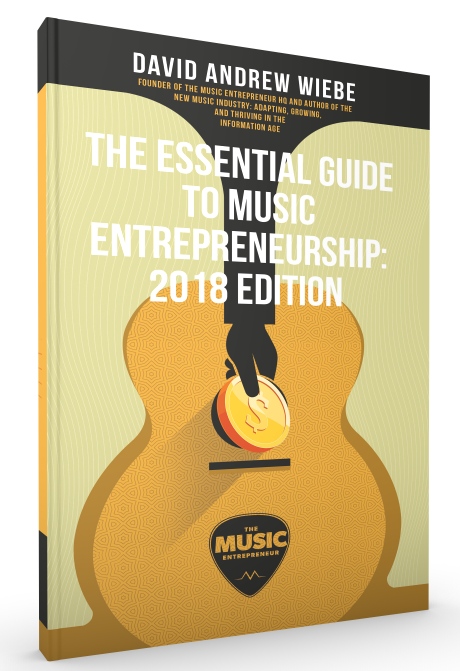 So far, I’ve published two books: The New Music Industry: Adapting, Growing, and Thriving in The Information Age and The Essential Guide to Music Entrepreneurship: 2018 Edition. I’ve also been hosting The New Music Industry Podcast since 2016. There are plenty of music entrepreneurship courses out there. There are also several inspiring articles you can delve into. But there aren’t enough resources that talk about the practical aspects of approaching your music like a business and living it! That’s why I wrote this guide. Straight to the point and full of value. There’s no fluff in The Essential Guide. Only insights into what I’ve done and what I know. You are a music entrepreneur whether you know it or not. Isn’t it time you empowered yourself with the knowledge you need to create the career of your dreams? We all start somewhere. We’ve all made mistakes. And, we all feel discouraged from time to time. But let this be the first day of the rest of your life. You’re just getting started, and the journey you’re about to embark on is more exciting than the last. Don’t wait. Tomorrow is just an illusion. Invest in yourself today. Now.